Big Fish is a software development company in Tampa, FL with a focus on mobile application development. Last month I announced on this blog that we are rebranding. We haven’t changed who we are, but we do have a new look. For us that means a new logo, and an entirely new website, that you’re looking at now. The smiling green fish in our original logo had been with us since we were founded. We loved that logo and there was nothing inherently wrong with it. 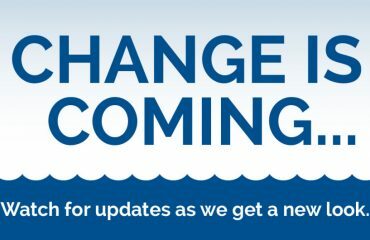 So why change things? 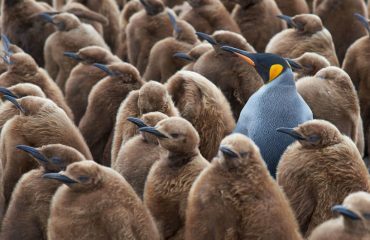 As a company (and individuals), how you “put yourself out there” has a significant impact on how others perceive you. And how you are perceived is the essence of your brand. Which means, we aren’t really rebranding at all. We can’t, our brand is created by everyone except us. We discussed the words clients often use when describing their experience with us; and we looked for common threads. We remembered the day one of our clients told us the app we were developing for his company was going to transform their entire industry. We talked about the reasons clients gave for hiring us. And we reflected on why we do what we do; who we are, and the work we produce. When we were done, we had a list of words that authentically describe Who We Are and Who We Are Not. These words are not our brand. But knowing them brings clarity and direction to all of our communication. They allow us to ensure that how we put Big Fish “out there” is an accurate reflection of who we are. That’s why we knew we needed to refresh our look. So we hired The Symphony Agency in St. Petersburg to create a logo that represents us. After multiple rounds of concepts, revisions and discussions, our new logo was born. And we are excited to share it with you now! The strong blue colors and simplicity of the design convey the dependable, genuine, practical characteristics of Big Fish that our clients notice and appreciate. The rounded squares that make up the fish bring in the elements of inventive and crafted. They also subtly speak to the fact that we are a technical company (what do those square look like?). The design is creative and gives a feeling of flow, which lends itself to avoiding the sometimes corporate feel of a blue logo. The fish is understated enough to avoid appearing immature, or generic and mass-market. But, clever enough to signal that we aren’t another boring corporation. With a new logo and a new look, we also needed a new website. We are beyond excited to finally reveal that today. Our blog is the hub of this site. 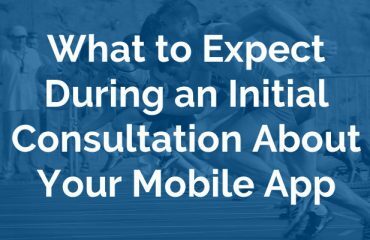 We post here often, answering frequently asked questions and sharing advice for companies about buying custom mobile application development. Scroll lower on this page to subscribe and receive our new posts by email. Cheers from all of us at Big Fish!